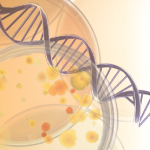 Biotechnology, a field of applied biology that involves the use of microorganisms to perform specific industrial processes, is an increasingly popular field of study. ECI has created a two semester course to give students the opportunity to examine all the aspects of the biotechnology industry. ECI’s Foundations In Biotechnology and Applications In Biotechnology are contextual learning multi semester courses that are designed for both science and technology applications. The Student Textbooks and Student Laboratory Manuals are directly correlated. The laboratory portion combines questioning, observing, creating, experimenting and scientific inquiry to learn about the science and engineering applications that are used in biotechnology. Students will perform experiments that actually show how biotechnology is used in different fields throughout the industry. Students will perform experiments demonstrating how biotechnology is used in different industries including: agriculture, medicine, food biotechnology, environmental science, immunology, bioengineering, and nanotechnology. 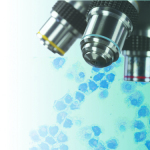 They will also evaluate bioethics and social concerns related to biotechnology. Lastly, they will have an opportunity to examine all the aspects of the biotechnological industry. 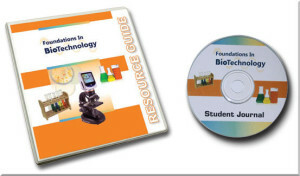 The text book is written to provide a broad overview of the concepts that are foundational to biotechnology as well as to describe many of the different types of applications of biotechnology in the industry. The text is clearly written and professionally illustrated. 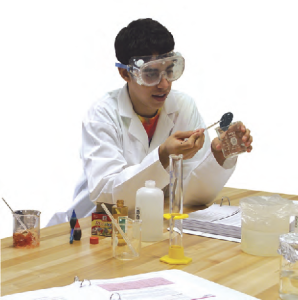 ECI’s Laboratory Manual is designed to help the student develop a thorough understanding of the subject matter. 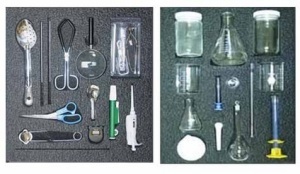 Clearly written and professionally illustrated, the manual provides the most specific laboratory setup and easy-to-use procedures available.